Learn: During the “Learn” phase of our program, students obtain a basic mastery of information literacy that will serve as a foundation for their discipline specific endeavors. Explore: During the “Explore” phase, students will transition into beginning stages of research literacy by forming strong connections with faculty. Navigate: During the “Navigate” phase, students will embark on discipline specific undergraduate research projects. Share: During the “Share” phase, students will disseminate the findings of their individual projects to broader university, discipline-specific and public audiences. The possibilities are endless. Bring us your new idea. Oliver presented his research on diplomatic history, security and philosophy at Paideia, and was a winner of the Cupola Award. 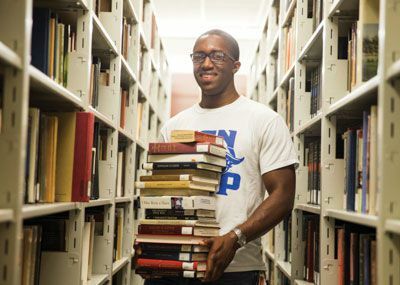 He published two journal articles and co-wrote a book chapter as a result of his undergraduate research at Christopher Newport. 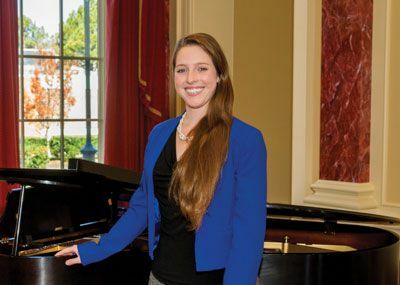 "The undergraduate research experience at Christopher Newport is special because it’s an ongoing exchange of ideas between students and faculty to shed light on the relevant issues of our time. The serious faculty mentorship I experienced resulted in the publication of my work and funding for a research trip to the National Archives and the Library of Congress. These opportunities gave me the tools I needed to craft sound material and meet other professionals and scholars. We involve undergraduates in our research in ways usually reserved for graduate students at other institutions. Here, students can define and refine their academic and professional goals and interests. They benefit from the mentorship we provide, and go on to mentor other students along the way. The students who work with the nuclear physics group at Thomas Jefferson National Accelerator Facility work sideby- side with preeminent scientists and engineers from all over the world, and more importantly, they contribute in a crucial way to the work being done there. The research we do is fascinating and compelling. Educating students about the beauty of physics, the role science plays in our world and the importance of using robust scientific techniques in learning about our world has real value. Working with undergraduates in our research program at Jefferson Lab is the most important work I have ever done. 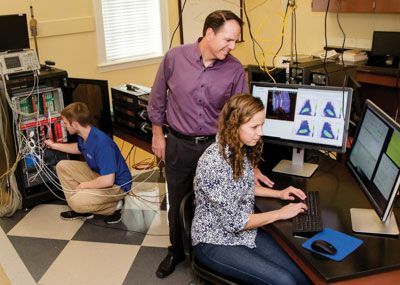 Dr. Edward Brash leads a team of faculty and student researchers in studying the structure of protons. The group uses nearby Jefferson Lab’s powerful accelerators to measure the properties of the proton — part of a global effort to reveal the structures of the fundamental particles of the universe. We take a lot of pride in developing professional relationships with our students. I’ve never seen a more committed faculty, and we remain a resource. The roots of undergraduate research begin here and continue to grow after graduation. Developing a sculpture or painting and then exhibiting it gives students an insight into the process of the artist and the practical aspects of how to work professionally. Personally, it invigorates me when students show a genuine interest in their field. It’s mutually beneficial, and helps me to continue learning as well. 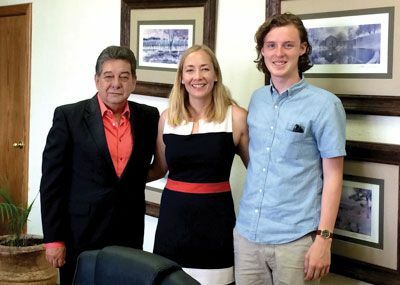 Kevin traveled to El Paso, Texas, and Juárez, Mexico, with Dr. Tina Kempin Reuter, Associate Professor of Government, to analyze and compare the social, legal and political implications physical borders have on conflicts and relationships between nations. They are pictured with Juárez city official Jorge Mario Quintana Silveyra. Julie studies tree cores to learn their ages and the effects of climate on their growth. She hopes her work will contribute to the restoration of the southern Appalachian fens, mountain wetlands home to many rare plant and animal species. Undergraduate research transforms a university from a series of buildings and classrooms into a true intellectual environment where discoveries are made, not just discussed. By involving undergraduates in research we introduce them to the problems faced by our society and arm them with the means to find solutions. Many schools have outstanding research programs, but the undergraduates at those institutions tend to be trained by post-doctoral staff or graduate students. Working directly with a professor is the best way to gain the expertise needed to succeed at a job or in graduate school. 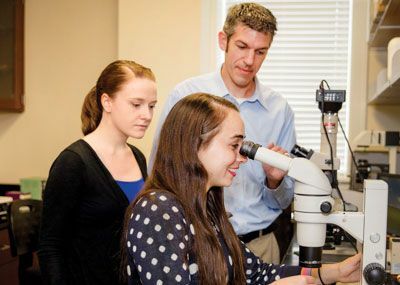 Here at Christopher Newport, undergraduates have a special opportunity to do cutting-edge research with professors who are experts in their field. Callie traveled to England to research the relationships between the music and text of Benjamin Britten’s Canticle II: “Abraham and Isaac” at the Britten-Pears Foundation Library and Archive. Working with Music Professor Dr. Danielle Ward-Griffin (seated at piano), Callie examined how Britten dramatized the story of Abraham and Isaac through music and how it transfers to the stage, ultimately concluding her project in a performance of Canticle II. Research is important because it challenges students in ways that they don’t experience in the classroom. I’ve supervised students who have cowritten academic papers with me that were accepted for publication in peerreviewed journals. Together we’ve conducted grant-funded field research, and given professional presentations at local, regional and national conferences. The benefits of undergraduate research are many, both on campus and beyond. Students gain valuable field expertise, develop their writing and presentation talents, and gain an in-depth and hands-on understanding of the research process. These skills can be applied in any endeavor where critical-thinking and creativity are necessary to solve problems. 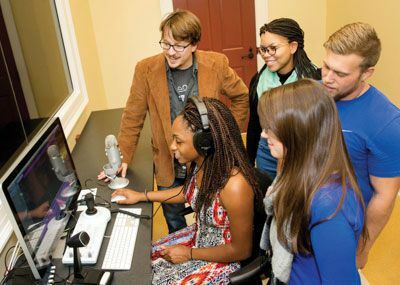 Undergraduate research at Christopher Newport gives students the opportunity to illustrate what they have learned above and beyond what shows up on a transcript. 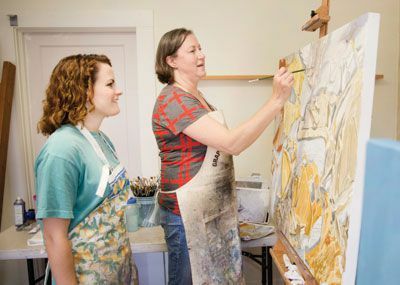 We offer students so many ways to work directly with faculty on a wide array of projects. The work students undertake in my lab would be assigned to advanced PhD students at other schools. Our students leave here with invaluable experience. Students who practice undergraduate research in college learn to tell the difference between good and bad science. This allows them to make better-informed decisions and become more engaged citizens of the world. 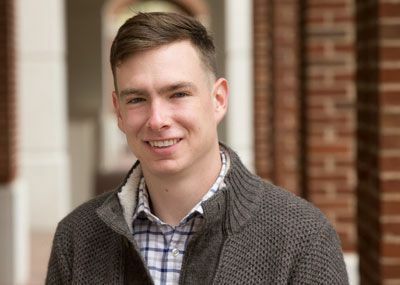 William spent his time as a summer scholar researching and transcribing letters written to Abraham Lincoln during the Civil War, and studying the history of treason in America between the time of European settlement and the Civil War. 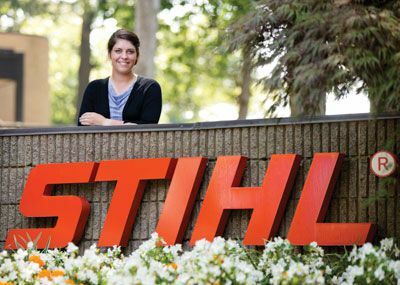 Annie created a case study of STIHL, an outdoor power equipment company, for future students taking courses in the Luter School of Business. Through her in-depth study of STIHL manufacturing plants in Virginia Beach and Germany, Annie helped develop lesson plans and class materials, and co-wrote an academic journal article.